Interview with Patrick Hickey Jr. 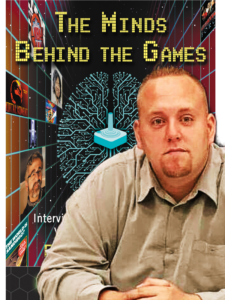 I recently sat down with Patrick Hickey, Jr., to discuss his book The Mind Behold the Games: Interviews with Cult and Classic Video Game Developers, and his work as a voice actor for the upcoming game release “The Padre” currently live on Kickstarter. Patrick Hickey Jr. is the Founder, Editor-in-Chief, Master Jedi and Grand Pooh-bah of ReviewFix.com and is the author of the upcoming book, “The Minds Behind the Games: Interviews with Cult and Classic Video Game Developers,” from leading academic and non-fiction publisher McFarland and Company. 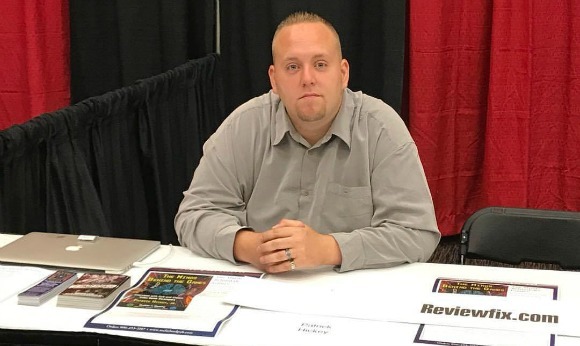 He is currently the Assistant Director of the Journalism Program at Kingsborough Community College and is a former News Editor at NBC Local Integrated Media and a National Video Games Writer at the late Examiner.com. He has also had articles and photos published in The New York Times, The New York Daily News, Complex and The Syracuse Post-Standard. Love him. Read him. Buy his book (here) or click his book cover image below. The Padre is a suspenseful isometric 3D point-and-click voxel art game where players will seek redemption as a priest who has taken his own life. On his path to redemption, he must solve mysteries while exploring a dangerous Lovecraftian universe. Currently, in development by Shotgun With Glitters, The Padre evokes “Minecraft meets Devil May Cry”.